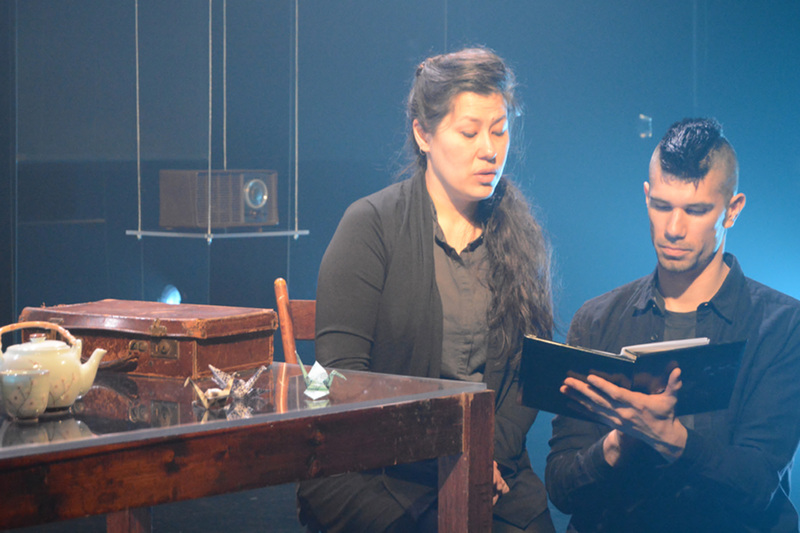 The Tashme Project (created and performed by Julie Tamiko Manning and Matt Miwa, directed by Mieko Ouchi) is a marvellous piece of theatre. From the first instant when Julie Tamiko Manning arrives on stage to the final jubilation at the end, everything in this performance is moving and wonderful. Tamiko Manning and Matt Miwa have interviewed people who survived the horrible internment of the Japanese in Canada during the Second World War. These innocent citizens were vilified, stripped of all their possessions and sent to live in the brutally cold barracks of a camp in the British Colombia interior. Most of us know some part of the story, but what is most riveting is the calm acceptance and perseverance of the people who are portrayed with such skill and accomplishment in this work. The direction by Mieko Ouchi is inspired. Tamiko Manning and Miwa overcome their own reluctance and the reticence of their interviewees to fashion a remarkable performance which has all the poignancy and humour of a master work of theatre. They weave the stories of the people who were children in the camp with the reality of the first generation who abided, but did not reveal the hardship and humiliation they survived. The set by James Lavoie was brilliantly conceived; layers of Mylar upon which the photographs of the Japanese who had been displaced were projected. The actors were able to hide behind or appear through these apparitions to marvellous effect. This is a flawless piece of theatre about a subject which is close to my heart. The children and grandchildren of those who suffered in the war have a particular duty to preserve and amplify the experiences of previous generations. At the end of the piece, Miwa talks about the mixed marriages and assimilation of the Japanese Canadian community and the necessity to hang onto what is left of their history and heritage. As so many children of immigrants lose both the ability to speak the languages of their grandparents and the opportunity to communicate with them, these stories, which are our common heritage may disappear. I am grateful to Manning and Miwa for preserving this part of it. 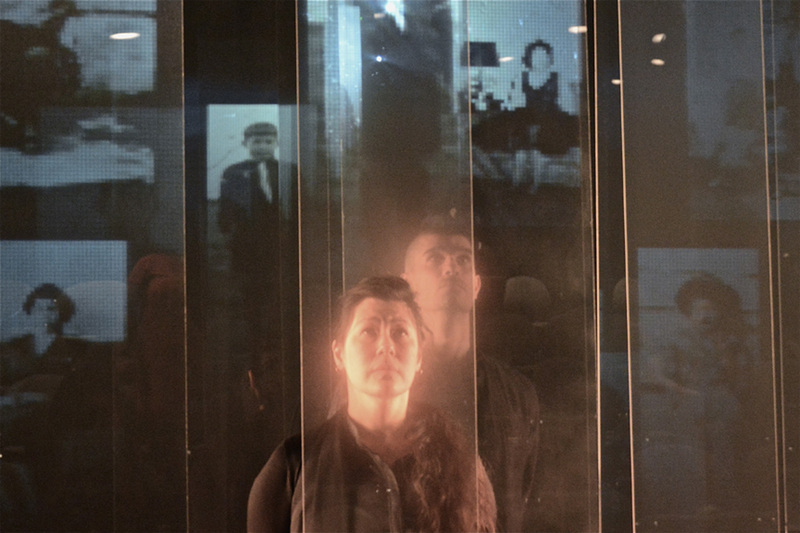 The Tashme Project: The Living Archives plays at the MAI (3680 Jean Mance) from May 7 to 17, Wednesdays to Sundays. $28.50/23.50. Post show artist talks take place May 10 and 15.